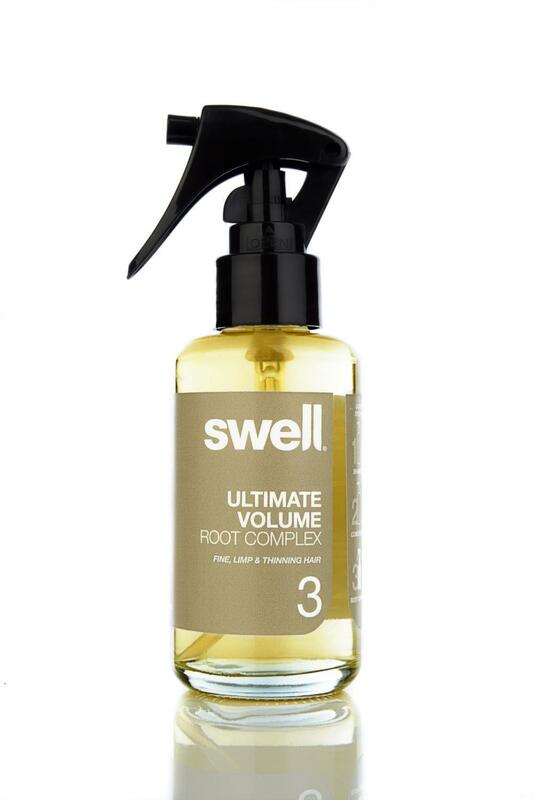 The award winning Swell 3 Step System for fine, limp & thinning hair - Ultimate Volume Shampoo 250ml, Ultimate Volume Conditioner 250ml and Ultimate Volume Root Complex 100ml. Delivering ultimate volume and growth. Follow instructions for best results. 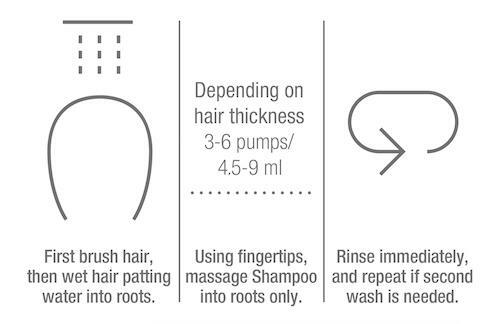 NO Silicones, Parabens, SLS or Chemical Build-up. 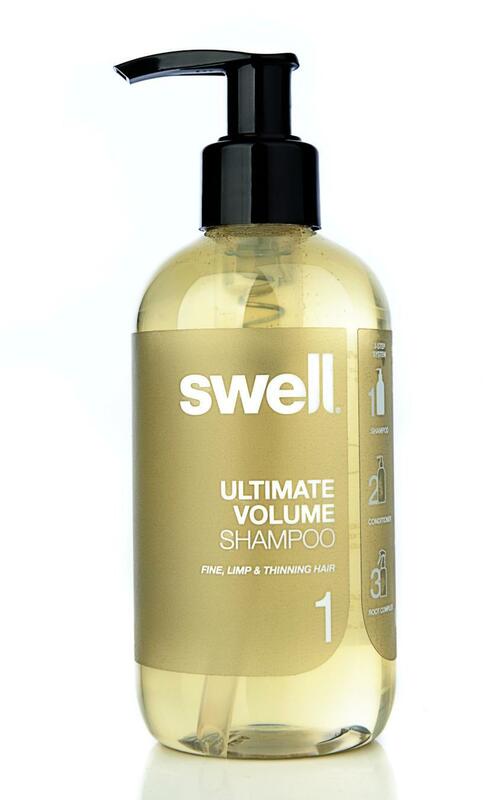 Swell is against animal testing. Ensure usage directions are followed for perfect results. Well, Swell, you have been an absolute godsend!!!!! I became very concerned when I first noticed my post-menopausal thinning hair a few years ago. I went into panic mode, tried all sorts of products (had to be natural of course) but nothing seemed to work. 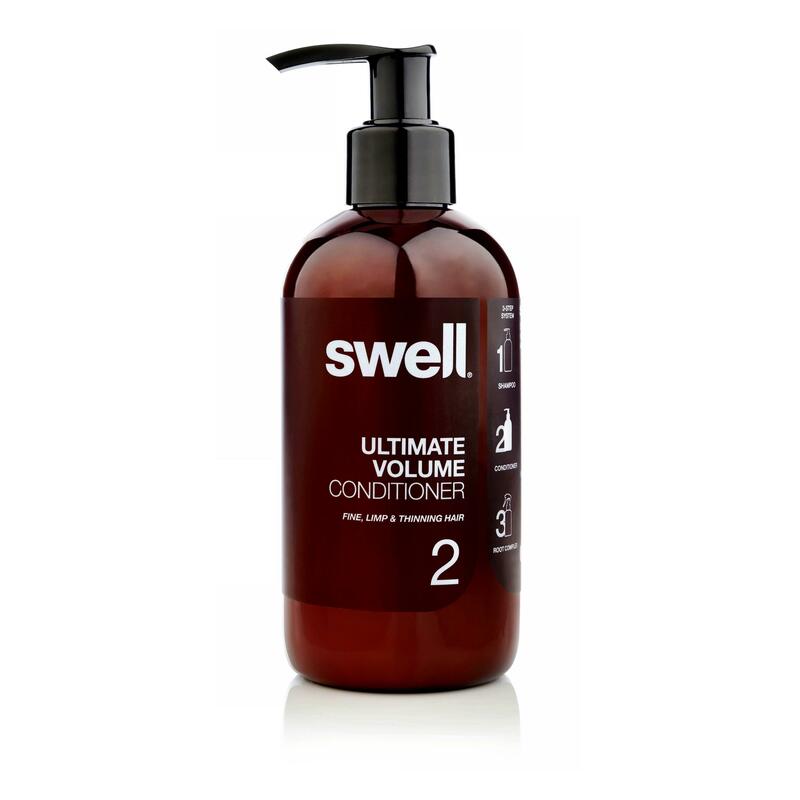 Then I had a chance conversation with a very knowledgeable M&S assistant who recommended Swell. She did stress that I needed to give it time - makes sense I suppose when you consider speed of hair growth. I felt a differnce from day one. 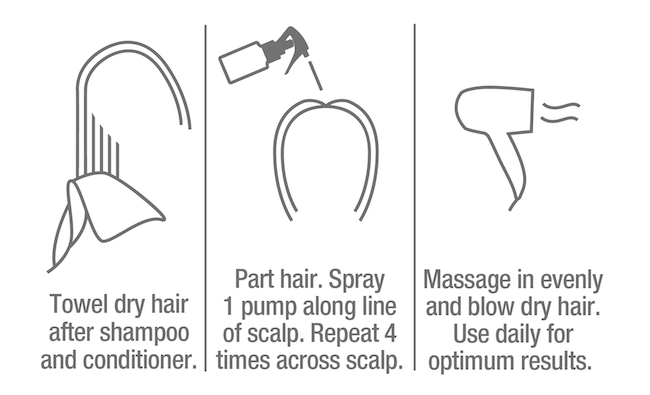 My hair felt and looked thicker and my scalp felt 'alive'. 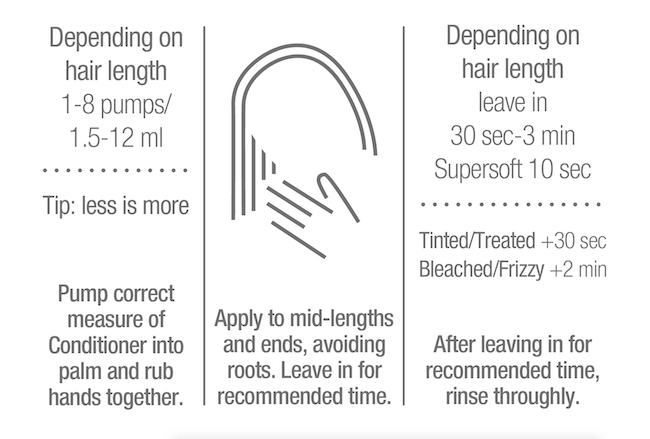 I am now into my second year, have used nothing else, my hair is so much thicker and I rarely have any precious hair sitting in the shower hair trap. I'm on my second batch (that's economy) and my only concern is 'what if they stop producing this amazing product '. 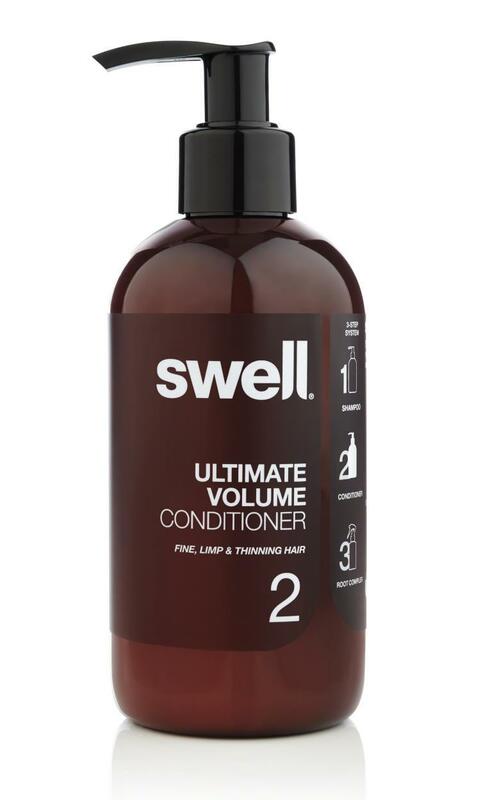 I was devestated when I learned that M&S have stopped selling Swell - I would use my 20% discount which is a huge help. I guess it's 'shop around' time. So please, continue your good work, and thank you for producing a 'self esteem saving product'. 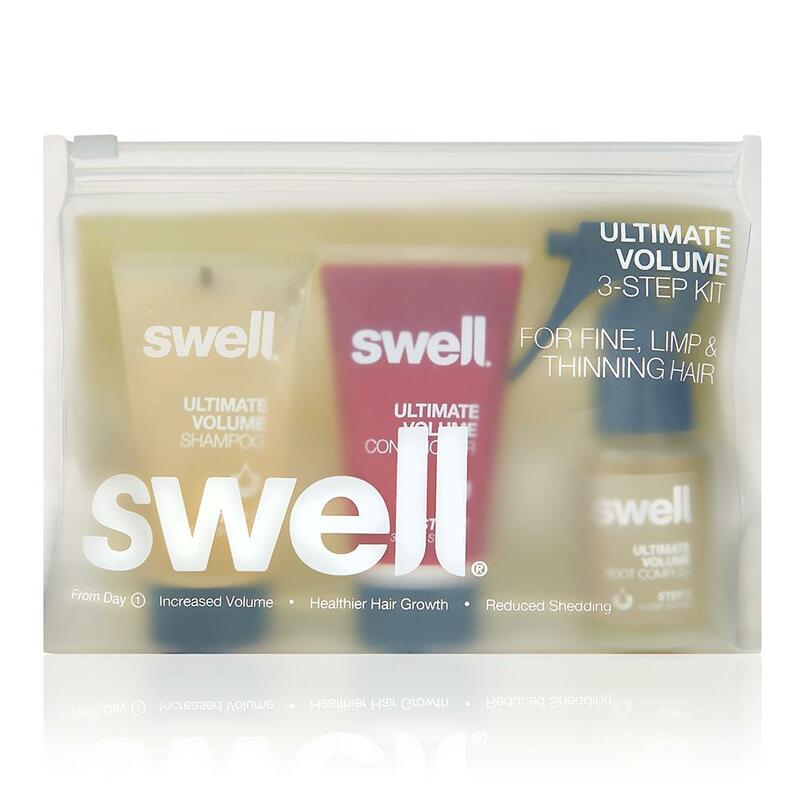 Ultimate Volume 3-Step Discovery Kit The Ultimate Volume 3-Step System that everyone’s talking about.